It is very important to remember that its 1949 founding documents clearly say that Nato is a defensive organisation, which would go into action only when one of its member states was attacked. This is known as collective defence. 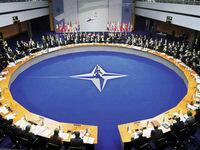 Nato (Atlantic Pact) was constituted to counter communism and the Soviet threat during the Cold War. After the disintegration of the Soviet Union and the Warsaw Pact, Nato lost its raison d'être given that Western Europe and the United States were no longer threatened by an invasion from Eastern Europe. Nato thus had the choice between disbanding itself or developing a new reason for its existence. Many strategists say this gave the opportunity to the United States to reshape Nato in ways that would serve its global interests. The first step in the US strategy of changing the nature of Nato was the attack on Yugoslavia to prevent ethnic cleansing in Kosovo under the doctrine of humanitarian intervention (currently rephrased as "responsibility to protect"). Yugoslavia did not expect an attack from Nato because it did not attack its member state. At the Nato 50th Anniversary Celebrations in Washington in April 1999, one of the aims of the United States was to present to the European states the attack on Yugoslavia as an example of the future role of Nato as an "offensive" organisation whose aim was to act as the world's policeman. "This new alliance will be bigger, more capable and more flexible, involved in collective defence and capable of undertaking new missions, among which is the active commitment in the management of crises, including the operations of responding to crises" (Washington Summit Communiqué, 24/4/1999). In other words, Nato is intended to project its military force beyond its borders not only in Europe, but also in other regions, like the Middle East, Africa and the Indian Ocean. Nato gives itself the right to intervene anywhere in the world whenever it feels its interests are threatened, without consulting the United Nations. Then came 9/11 and Afghanistan was attacked by the US to topple the Taliban regime, which harboured Al-Qaeda leaders. Nato troops led by the US are involved in Afghanistan to stabilise the country against the threat of Taliban. The war has been going on in Afghanistan for nine years. Nato soldiers are being killed almost every day, and during the last eight months of 2010, 490 Nato soldiers were killed including 323 US soldiers in Afghanistan. In August 2010, the Dutch troops left Afghanistan. Britain reportedly wishes to withdraw its troops by 2012 and other European Nato nations, including Germany, are reluctant to stay the course in Afghanistan because of the public's anger over involvement in the war in Afghanistan, which does not seem to be ending. After almost a decade of war and tens of billions in international aid, the international risk management firm Maplecroft put together a food security index -- using 12 criteria developed with the United Nations' World Food Program -- to evaluate the threat to supplies of basic food staples in 163 countries. Afghanistan ranked dead last and was the only non-African nation among the 10 most food-insecure countries on the planet. 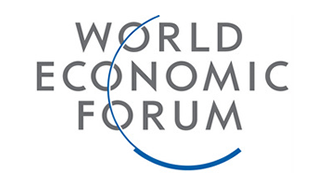 The United Nations ranks countries via a Human Development Index, which includes such indicators of wellbeing as life expectancy, educational attainment, and income. In 2009, when the U.N. issued a new Human Development Report, Afghanistan was in worse shape than before, ranking number 181 of 182 nations, higher than only Niger. It seems that following the failure of Nato to defeat Afghan insurgents, it will be reluctant to go in for a war in a distant country. The question is: What is the future strategy of Nato for the 21st century? Nato consists of 28 member states as of today. Collective defence has been the principal reason for many East European countries becoming Nato members since the collapse of the Soviet Union in 1991. Other European countries also strive for its membership for the same reason. Whatever future strategy Nato formulates, it has to convince the public in member states that its role is relevant during the 21st century, and that it will not act as a war machine in distant lands where its soldiers are killed. 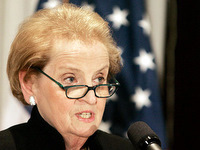 The new draft of the Nato Strategic Concept was presented by former US secretary of state Madeleine Albright in May this year. While the report acknowledges the limits and responsibility of the bloc it proposes to substantially expand its spheres of activity, including missile defence, energy security, cyber crime, terrorism, piracy and ecology. One important dimension of future strategy of Nato is how to engage Russia in Nato's new role in meeting the challenges of the 21st century. Russia has been closely watching the enlarged role of Nato and does not seem to be happy with it. To Russia, Nato is duplicating the role of the UN and it opposes Nato's role as a world policeman. Secondly, Russia believes that Nato has long ago exhausted the limits of its natural enlargement with the current 28 member-states. Thirdly, Russia is concerned about Nato's encirclement." Fourthly, Russia fears that Nato may cause crises in the Third World by its aggressive policy instead of containing external threats in Europe. In the light of the above, strategists believe that if Nato wants to be relevant in the 21st century, Nato-Russia relations need to improve substantially and both sides must take into account any historical sensitivities in bridging differences. That seems to be the only way to move ahead for peace and security in the world. Editors Note: Barrister Harun ur Rashid is a former Bangladesh Ambassador to the UN, Geneva.